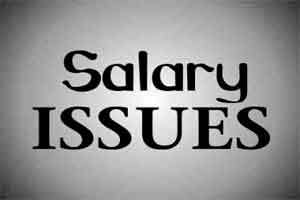 Doctors are primarily demanding pay parity to the central government salary disbursements. Chennai: The ongoing hike strike by Tamil Nadu Government Doctors Association has been postponed since the state government has promised them that it will increase their stipends within four weeks. According to a recent media report, the health department promised announcements on hike in pay structure within four weeks time period to the government doctors, who had threatened to boycott work except for emergency services at all government hospitals on September 21. In the past few months doctors under the umbrella of Tamil Nadu Government Doctors association observed the strikes/protest a number of times demanding pay parity with the centre. Most recently, the faculty members of the Madurai and Tirunelveli Medical Colleges boycotted the Medical Council of India’s (MCI) inspection for the increase of seats. Medical Dialogues recently reported that after the medical faculty didn’t show up during the inspection and the MCI inspection teams recorded deficiency in staff strength at the total 100%. Since 3rd September, the protesting doctors have not entered classrooms of medical colleges across the state. They stopped signing attendance registers, boycotted all government meetings and audits, refused to sit on the medical board or send daily reports, and stopped signing papers for pregnant women to get money from the Muthulakshmi Maternal Benefit Scheme. “We start with the same salary but there is a difference in our basic pay from the fourth year. We understand we won’t get the allowances as we are allowed to do private practice, but we are demanding parity in basic pay,” Dr Senthil, President TNGDA, pointed out the dilemma. To sort out their grievances, Health minister C Vijaya Baskar, Health Secretary J Radhakrishan and other senior officials of the health department held an eight-hour talk with the Tamil Nadu Government Doctors Association. “We have told them that we will offer finality to the issue in a time-bound manner. Until then doctors have told us they will put all protest on hold,” said a senior health official told TOI. The health department stated that it will constitute a working committee of three directors from medical services, public health and medical education, which will be chaired by a government official along with representatives from the doctors’ association to submit a report in four weeks with recommendations to resolve the grievances. Service condition, age of superannuation,pay structure must be same in both state and central government because government of India is getting its revenue from states only than why this disparity.The superannuation age of doctors in central government is 65 years whereas some states it is 62 years, some states it is 60 years even central PSU under administration of central ministries it\’s 60 years.This disparity will create disharmony and disturbed federal concept of government.